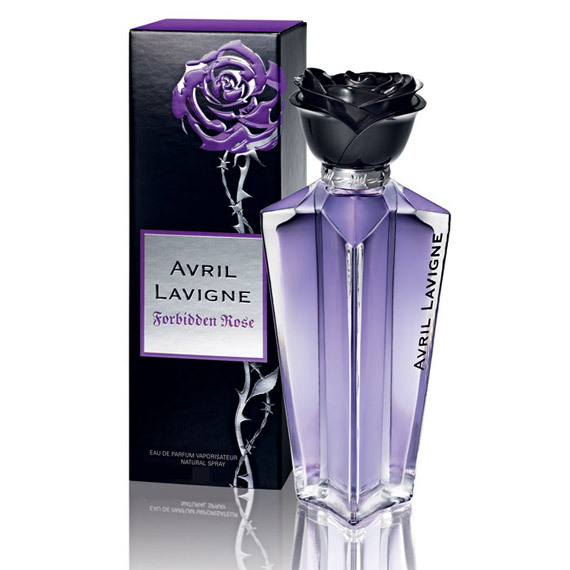 “I wanted to create a fragrance which takes the unique attitude of my first scent to a new emotional depth, adding mystery as well as a bit of magic,” says Avril. Forbidden Rose opens with the forbidden fruit itself–ever enchanting red apple, enhanced by a delicious wine peach. The story unfolds further with notes of white lotus at the heart, adding a pureness and beauty. The base of the fragrance exudes warmth through vanilla and sweet praline notes. A deep woody accord, emerges at the base completing Forbidden Rose’s captivating tale. 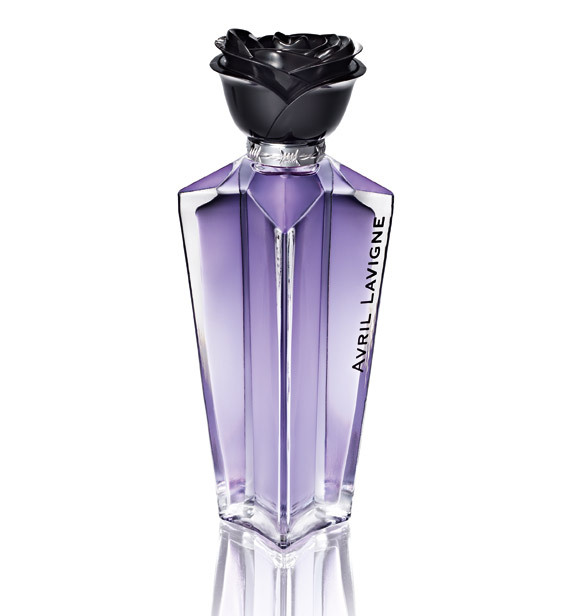 The bottle features a color combination of purple and black, and like her first fragrance it also comes with a ring, this time a silver barbed wire encircling the neck of the bottle while a black rose completes the design as a glossy cap. The barbed wire theme continues onto the outer packaging, further inspiring girls to push the boundaries and to discover what’s inside. 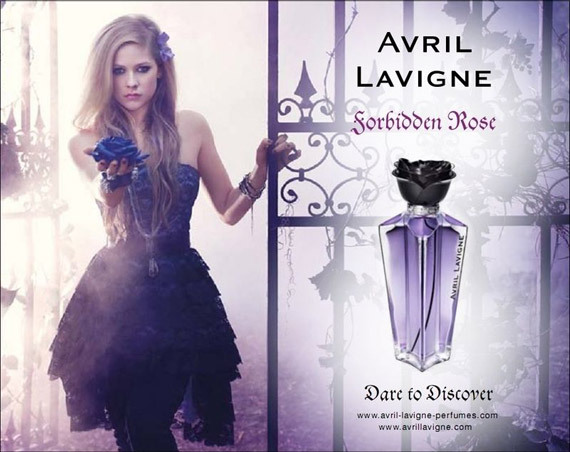 The Forbidden Rose TV campaign which took place in Santa Barbara, CA, was directed and shot by Fred Garcon. Dusan Reljin took the photographs for the print campaign. The dynamic campaign concept is inspired by fantasy films such as Tim Burton’s Edward Scissorhands and Alice in Wonderland, to which Avril lends her voice for the film’s soundtrack. The collection includes: Eau de Parfum, 30 ml	$29.00 and Eau de Parfum, 50 ml	$39.00, available at Kohl’s nationwide and www.kohls.com.